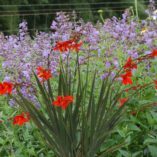 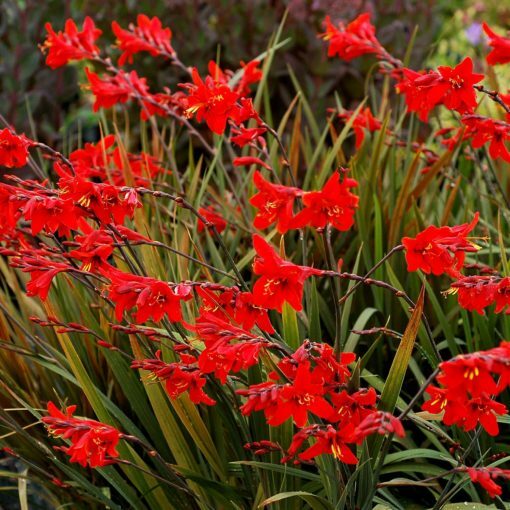 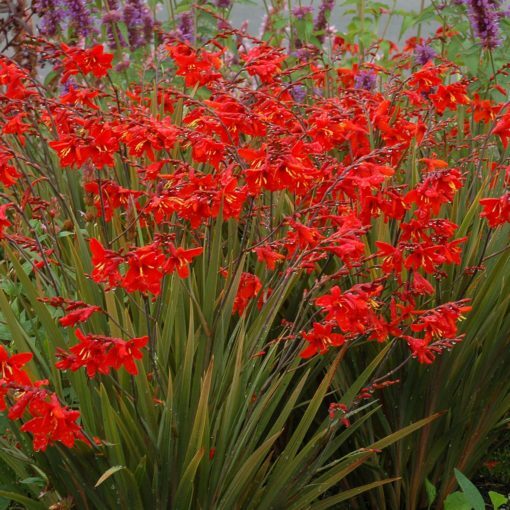 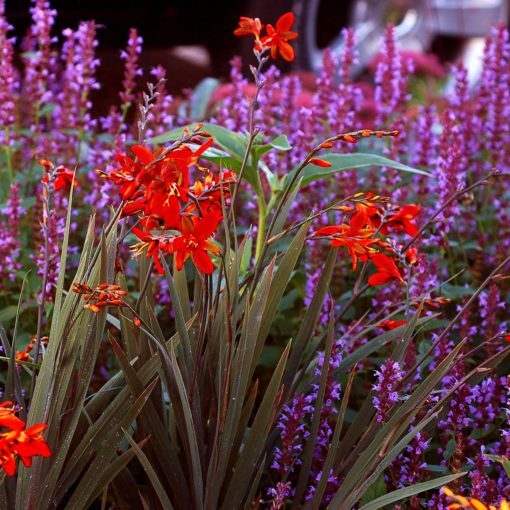 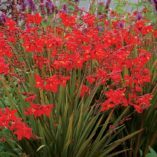 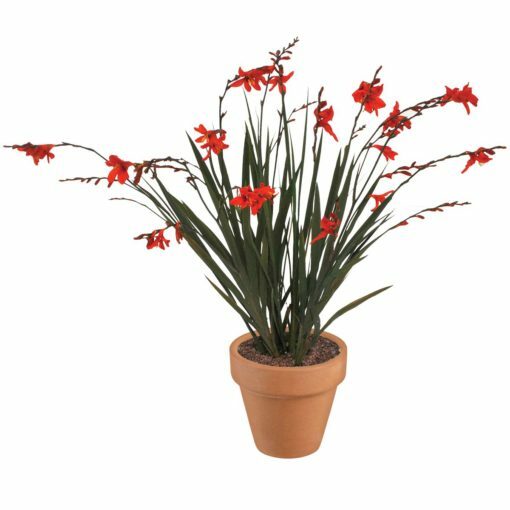 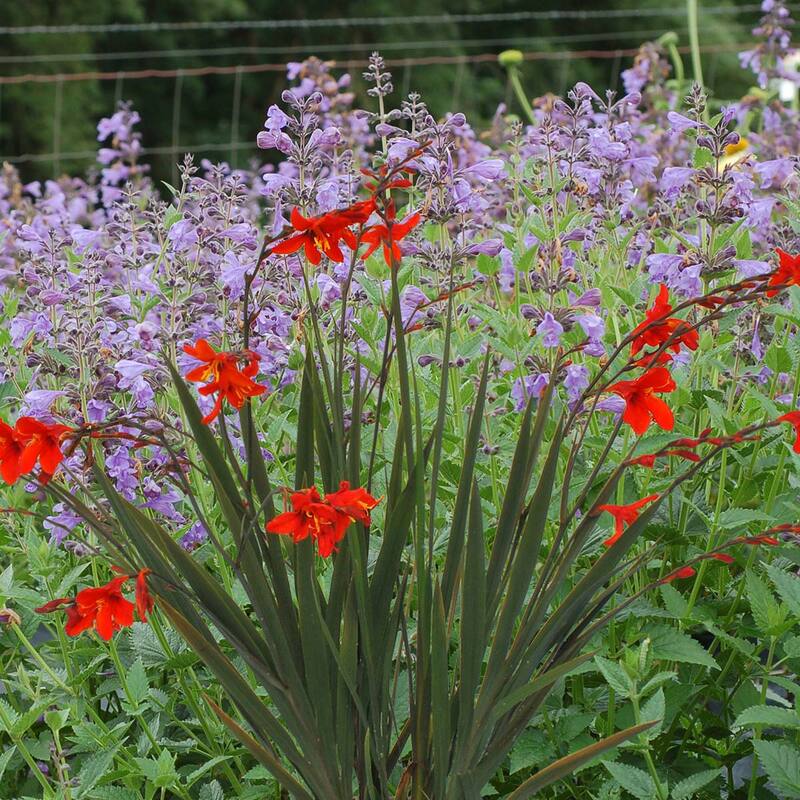 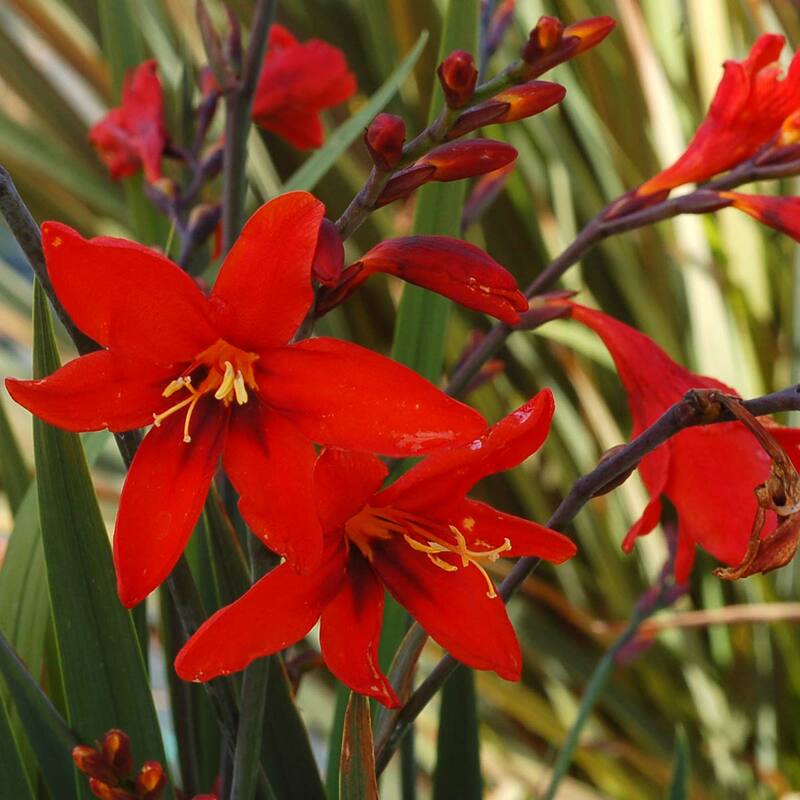 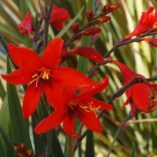 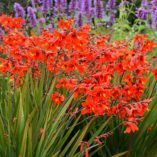 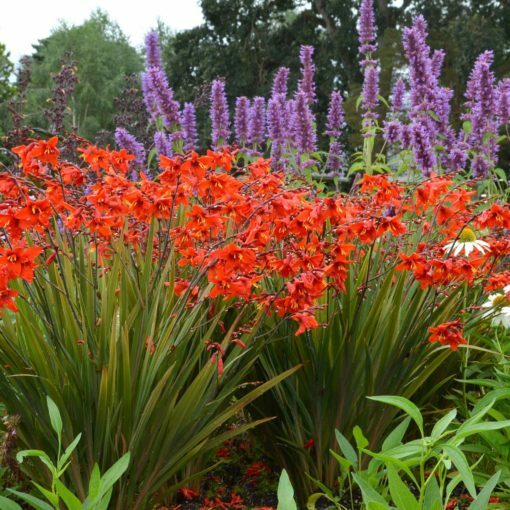 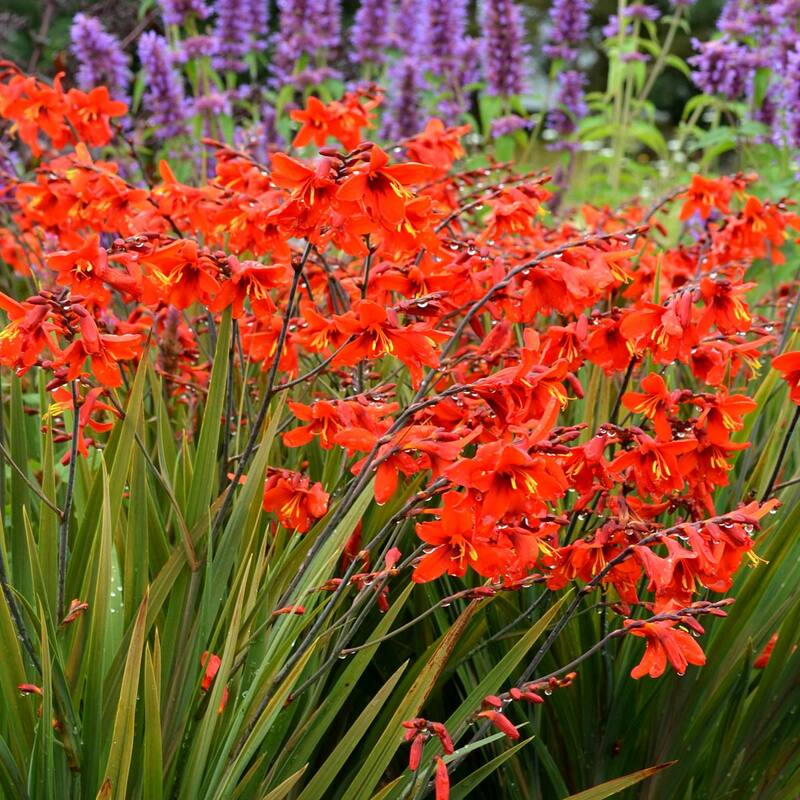 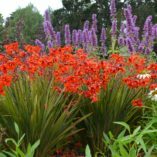 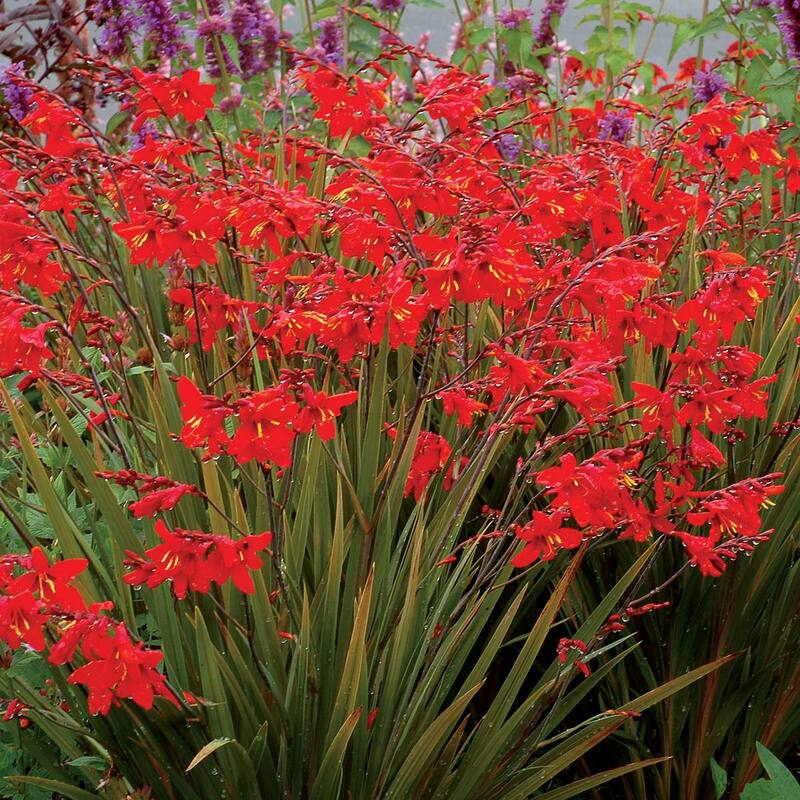 Crocosmia TWILIGHT FAIRY™ Crimson | TERRA NOVA® Nurseries, Inc. Bronze foliage is topped by short, multibranched flower spikes covered in crimson red flowers. 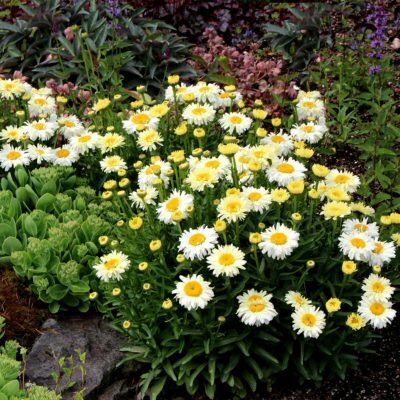 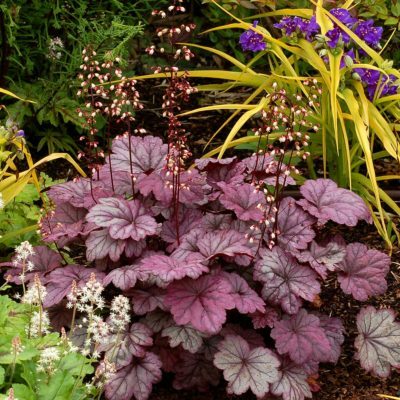 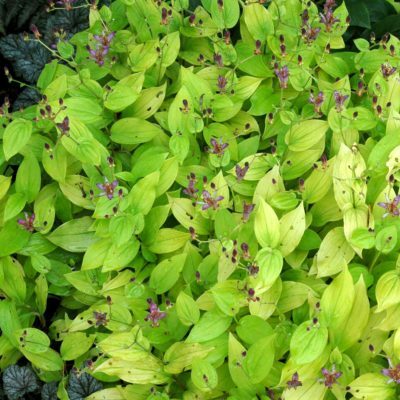 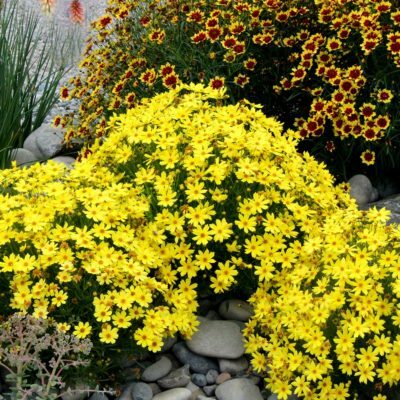 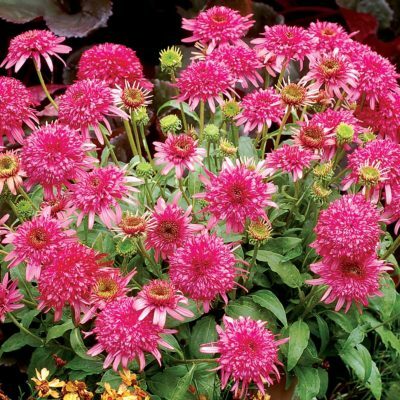 This compact plant with showy foliage and flowers makes this a natural for mixed containers, a spot in the smaller garden, or in front of the border in a large garden. Forms multiple crowns quickly for container gardening. 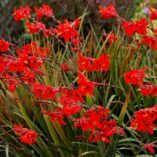 TWILIGHT FAIRY™ Crimson has bronze-colored foliage like 'Solfatare', except shorter and the flowers are red rather than apricot yellow. Mixed beds, sunny banks, borders. Keep plants evenly moist, drying down can cause edge burn and even dormancy.